Capacity of New Terminal / Topaz (Galway) Terminal is 50,995 cubic metres. 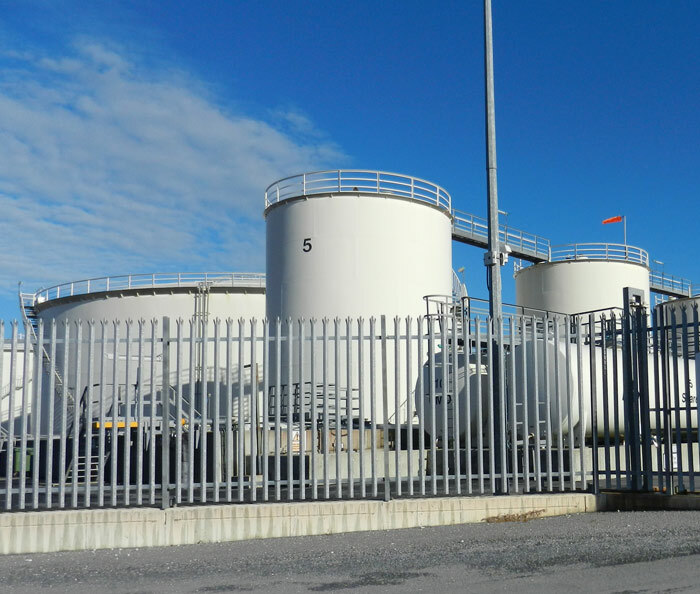 The Port of Galway has discharge underground pipeline facilities for Petroleum Products and for Bitumen. These two commodities accounts for 80% of the current cargo throughput. Folan Quay and Dun Aengus Quay North presently handle the discharge of oil tankers of between 4,000 tonnes and 6,000 tonnes dwt directly to a tank farm via three 250mm underground pipelines. These pipelines serve the tank farm operated by Circle K and is located at the GHEP. This terminal was built in 2009. Both tanker berths are protected by a modern automated fire fighting system generating foam via oscillating monitors.